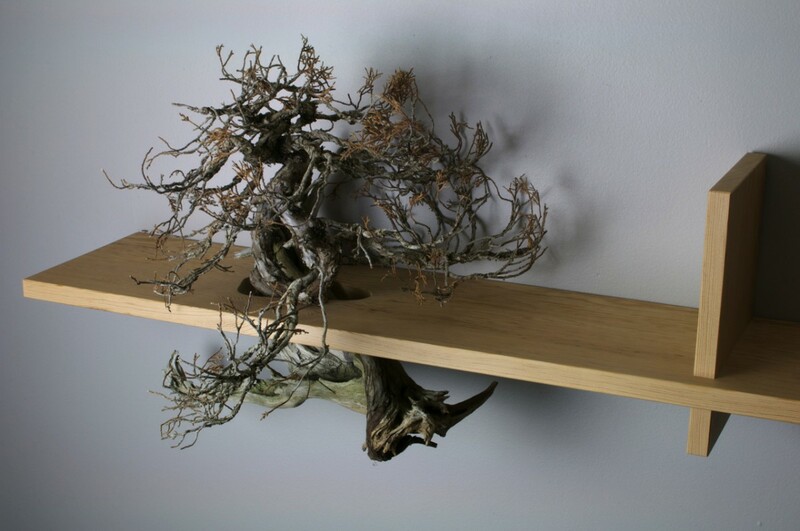 Milled and joined from a single board entirely by hand, this distinctive bookshelf features the cultivated form of a reclaimed juniper bonsai. It is an example of the expressive power of objects held perfectly still and a study in achieving perfect balance in simple forms. 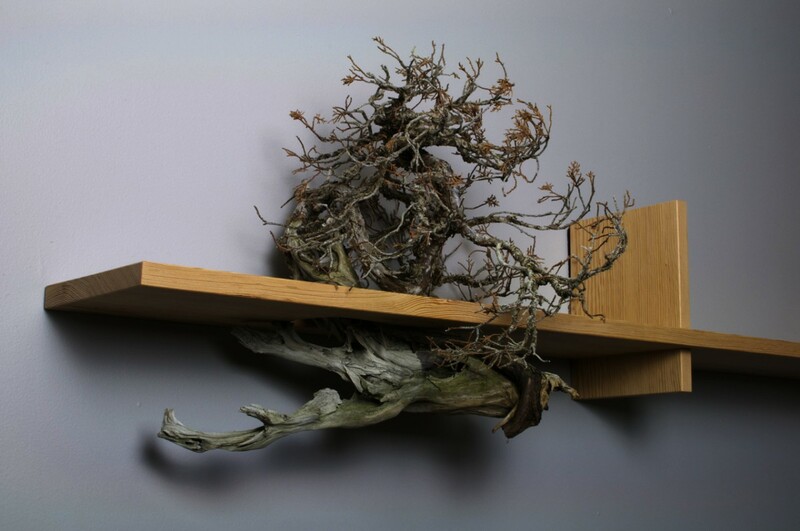 The bonsai floats freely within the confines of a specially shaped cutout in the shelf, its branches billowing upward and to the right, while underneath, its ancient, gnarled roots sweep downward and to the left. 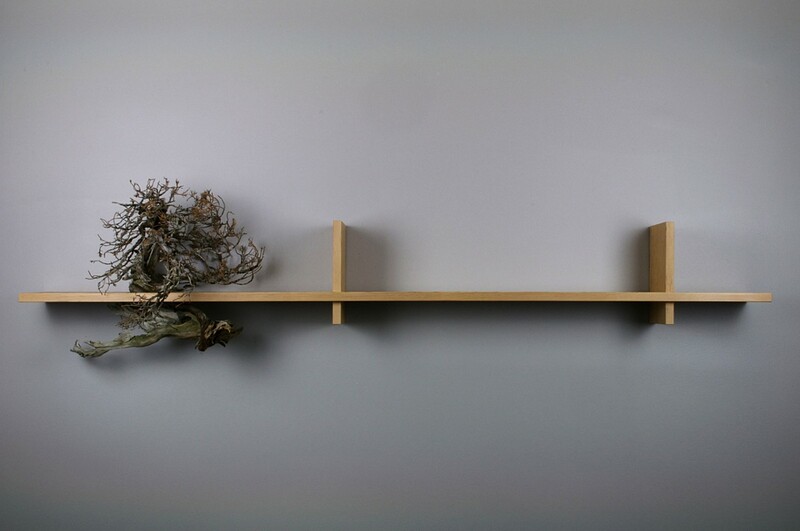 The length of the shelf and the height and placement of the integral bookends have been painstakingly sized to emphasize the natural movement of the tree. As a symbol of wisdom and calm deliberation, the shelf makes a suitable home for a well-curated collection of favorite volumes.